POSTED: Wed, 11/14/2012 - 05:05 | POSTED BY: Sarah M.
Women-only running events (95% or greater female) are on the rise, with over 200 events in 2011. Women of all ages, all shapes and sizes, and all athletic abilities are coming together to take on the challenge of conquering a long distance run. There is a sense of camaraderie and a lack of inhibition at these events that have women flocking to run. In fact, Disney's Princess Half Marathon had over 13,000 women finishers last year, making it the second largest women-only event in the country. I recently had the opportunity to speak with Tammy Jacobson from runDisney's marketing department about not only the popularity of Disney's Princess Half Marathon, but also the increase in women participating in all runDisney events. Like many runDisney events, Disney's Princess Half Marathon began as a way to fill the attendance gap at the Walt Disney World resort during a slow time of the year. Building on the success of the Walt Disney World Marathon Weekend, this event combined the growing trend of women participating in running events with the popularity of Disney's Princesses to create a one of a kind race. Participants not only get to don tutus and tiaras, but they can run through Cinderella Castle and meet Prince Charming while running 13.1 miles. This race has now become THE event for a fun girls weekend and is also the race of choice for many first timers. I know from experience, since this was my first half marathon. There is something a little less intimidating about running a half marathon when you are surrounded by smiling ladies in tutus. This popularity of runDisney events among women runners has sparked other events, such as the Tinker Bell Half Marathon in Disneyland, which debuted in January 2012. This event is also centered around women and the 2013 race sold out to over 14,000 runners in just under a month this past summer. That is record breaking time! But this increase in popularity among women is not just for the women-only events that runDisney holds. For the first time in it's 20 year history, the sold out 2013 Walt Disney World Marathon has more women than men participants...amazing! I'm so proud to be one of those women!! So what is making these runDisney events so appealing to women? Well the most obvious answer is the bling...we all love that bling. But there is so much more than that. Women have the ability to build family vacations around these race weekends and incorporate their family into the fun! Most race weekends include a Family Fun Run 5K and Kids Races that can get the whole family involved. runDisney has also created many strategic partnerships over the years to make the sport of running more accesible to the everyday woman. For example, there is now a runDisney mom on the Walt Disney World Mom's Panel, a nutritionist, Tara Gidus, on board to provide valuable tips for training, and expert racer Jeff Galloway has shared his Run-Walk-Run method to help many first timers conquer these long distances. 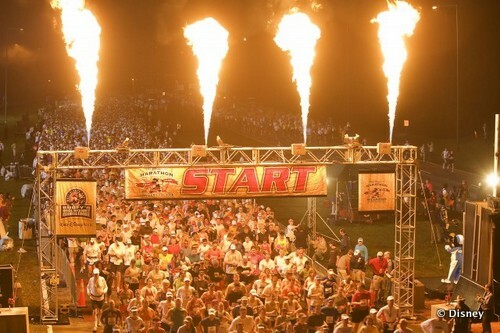 Social media has probably played the largest part in the growth of the runDisney brand over the past few years. There is a constant dialogue over networks such as Twitter, Facebook and Instagram between runners reliving past races, sharing photos, and building up anticipation to the next race. runDisney is jumping in the social media game as well with the recent creation of the runDisney Twitter account and Facebook page. As Jacobson says, "Our runners are our family" and the daily interaction they have with participants through these mediums helps to make that more of a reality. 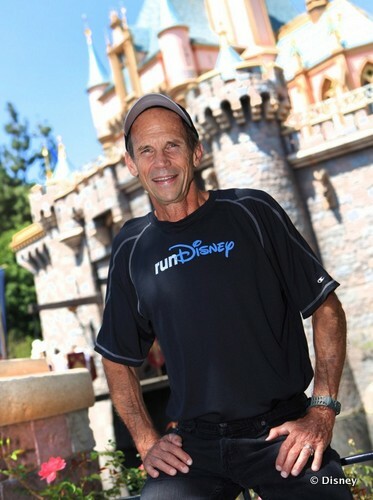 Disney has also launched numerous interactive campaigns to get the fans more involved, such as the Choose the Tinker Bell Half Marathon Shirt Design, the Great Medal Caper for the reveal of the 2oth Anniversary Marathon Medal, and most recently the Run Like a Princess Sweepstakes to win a night in the Cinderella's Castle Suite over Princess Half Marathon Weekend. I can't think of a better way to entice more female runners to participate in a runDisney event than a chance to stay in Cinderella's Castle! So ladies, share your story! Why did you start running? What is your favorite race? Do you prefer women-only events? Let us know. I would have never even done a 5K without Disney. They keep everything so much fun and treat the runners great. I love that Disney is helping so many people get out and get moving! I started running January 1st 2012 in order to lose weight and then to be able to run Disney races with my husband who was about to run his first half-marathon at Disney that week. After I saw the excitement in the crowds, runners, spectators (me being one of them) I was sure I was going to become a serious runner. I ran my first race this September at TZ ToT 10-miler and it was exhilarating! I can't wait for my first half this January and second Disney half in February. I started running when I happened to be at WDW during the WDW Marathon in 2003 (back when the half and full were run on the same day). My father said that after he turns 50, he wanted to run a marathon. So, in 2009, he and I completed the WDW marathon! After that, I was hooked. That was also the same year the Princess, which I decided to come back and do. 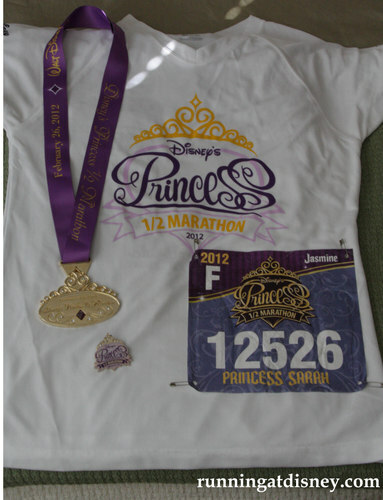 From then on, I have run the Princess and the Disneyland Half every year. I do prefer women-centered events, because I feel like there is less pressure to perform at high levels. I am not fast or even good. I perform at my best and I feel like my best is good enough at the Princess. I have now completed 10 half marathons, and 10 runDisney events. I won't run anywhere else!! I just ran my first 5K last Saturday at the Wine and Dine half. 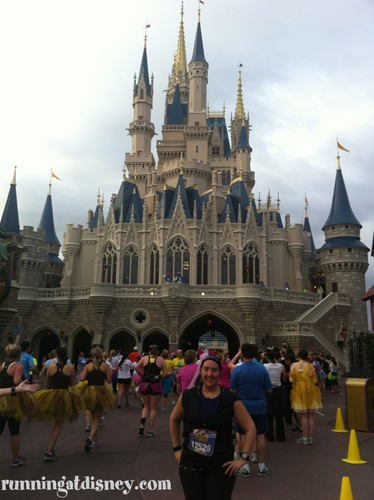 Now I am gearing up to hopefully do the Tower of Terror 10 miler next year. I've never been a runner before but because of Disney I am really inspired! The running community is like no other. Most people are encouraging and you are truly competing against yourself to become the best you can be. That is celebrated in the running community. I love the bling and only do races with medals. My first half marathon was the Disney Princess at age 59 with my daughter and friend who got me into running. What a fun weekend even with getting up and on the bus by 4 am. I must admit crying over the finish line and the volunteers were so happy for me with their sincere congrats. I am a newbie to the running world, having just started to train last week. My inspiration was my husband agreeing to fly me to WDW for next year's Princess Half Marathon. Even though I am hoping to be ready enough to run the 5k, I smile at the thought of being cheered on as I run through my "happy place"!! I am very excited!! I've never been a distance runner. I was a competitive gymnast for 6 years and jumper on my high school track team, so I never had to run more than 100' at a time. I filled in for a teammate in the 200M at a local track meet one time. I ran out of steam halfway through and finished last by about 60 yds. To say I never thought I'd be a distance runner is the understatement of the year. I never thought of distance running as fun, but I have a friend from college who does the runDisney events and I was constantly seeing her progress and the pictures she posted on facebook looked so appealing. My real estate company hosts a 5K to fundraise for muscular distrophy every October and I usually walk it with the other agents in the company. Last year I decided that I would actually train and try to run SOME of the race and if it went well, I would commit myself to doing a runDisney event. Well, I was satisfied enough with my performance the I have decided to do the ToT 10-miler this year. I would have signed up yesterday when registration opened, but I'm still trying to talk my husband into doing it with me! This year, I competed in my first RunDisney race and I started BIG! First timer and completed the Dopey Challenge! Yes, I did it for the Bling!!! 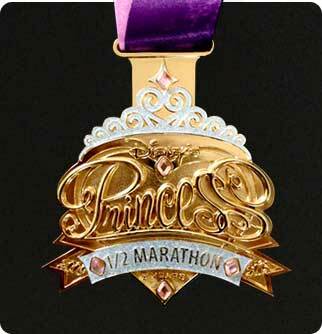 I'll be returning with a group of my running pals for the Princess half in February 2015. Disney does EVERYTHING first class! What does running mean to me? Where do I begin? I started running April 2013. I've learned so much about myself on my runs this past year then I have in my combined 41 years. I will never forget the year 2013; it's the year I took charge of my own happiness. It was only months ago I realize only I can make myself happy. I started appreciating where I was; it lead to thriving. I started looking for reasons to feel good; the more I did it the better I felt. I am forever grateful for 2013! I couldn't run a mile a year ago; this April I will be running my first half marathon. Runnin has changed my life. It was on my runs I found myself.